Scores of Orson Welles biographies have been published, dutifully documenting the difficulties his directorial career endured following his stratospheric debut. Studio interference marred efforts from his sophomore outing onwards, and financing problems often prevented him from satisfactorily rendering his visions – or sabotaged them before he had even begun. 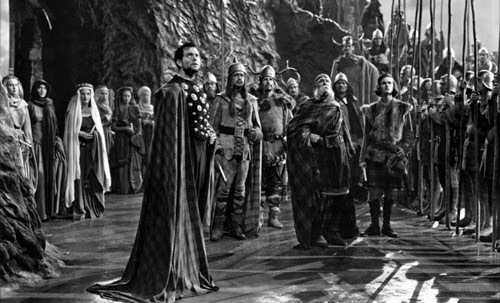 Welles had famously staged a “voodoo” version of Macbeth for the Mercury Theatre and here he returned to the play for his first feature adaptation of Shakespeare. The finished film is a curiosity rather than a daring success. The highly stylised presentation is never less than interesting, but the speedy production lends it a ramshackle quality further emphasised by some variable performances (the approximation of Scottish accents is atrocious at best). Evidently, elements of this are intentional on the part of Welles. But it’s questionable whether they actually benefit the whole. Arguably, he uses the Spartan sets advantageously, shrouding them in fog, isolating his performers on random outcrops or transitioning them, theatrically, from a room to cliff-like. Welles made the picture for Republic, known for their cheap serials and B movies. The low budget dictated his approach, which included a pre-recorded soundtrack to which his players lip-synched. The costuming reflects threadbare necessity, made up of random tat ranging from Viking helmets to Mongol attire. Dodgy wigs are de rigueur. 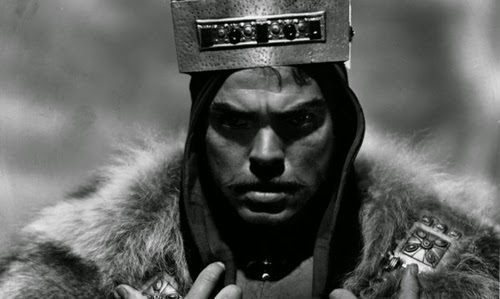 At one point Macbeth comes on wearing a square cake tin crown that seems purely designed to elicit mirth. But he shoots the picture in such a manner as to forgive a multitude of sins. His trademark deep focus is prevalent, accentuating his performers through use of wide-angle lenses and placing the camera at low (or high) angles. His use of chiaroscuro lighting is highly effective; darkness permeates the sets (leftovers from Republic westerns), leaving Welles to pick out his players. This starkness lends the production a heightened, hallucinatory tone. Particular shots etch themselves in the mind; the shadow of Macbeth’s pointing finger consuming a wall as it singles out the apparition of Banquo, Macbeth’s crowned head (like an iron crown of thorns) foregrounded against strange obelisks retreating into the distance, the faceless witches perched like vultures upon a shallow hilltop, Birnam wood oncoming in slow motion as if it were an unspeakable science fiction monstrosity (from John Wyndham or Nigel Kneale). There is a gothic quality to the imagery, and one is frequently put in mind of Universal’s 1930s horror movies. This approach fits with how the director envisaged his adaptation, arranging it as a struggle between Christianity and paganism. As such, he created a new character (Alan Napier’s bizarrely pig-tailed Holy Father) to reinforce the point. Arguably, this thematic opposition is only partly successful. The witches appear as wholly Machiavellian forces, manipulating a man to his doom with the aid of a nightmarish clay figurine (an echo of the voodoo stage production); yet the intended subtext of their actions as response to the suppression of their beliefs is difficult to discern. Nevertheless, this is arguably one of the most striking depictions of the trio; they haunt the screen, just out of reach, their visages left to the imagination. But the Holy Father is insufficiently strong in presence, announcing himself more as a dirty old tramp than an esteemed vassal of God. In general it is the primal landscape that remains with the viewer, rather than the characters it holds. As such, the main issues with the film are those of performance. Welles is as commanding as you’d expect in the lead. Yet he hits the requisite notes professionally, rather than showing any great insight into the inner process of the Thane come King. Occasionally, he also bears an unfortunate resemblance to a beardy incarnation Jonathan Frakes. 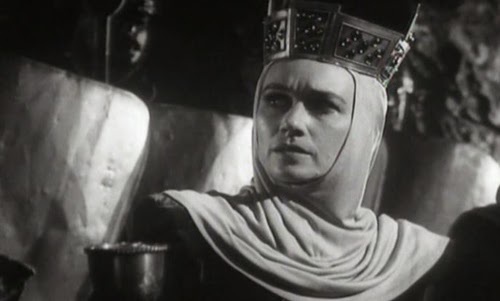 Jeanette Nolan makes her film debut as Lady Macbeth, and its unfortunate that her stiff, theatrical performance bleeds all life from the character and the central dynamic between the couple. Their conspiratorial relationship beckons any adaptor to embrace the claustrophobia of their pact and the incipient madness that grows from it, but in Welles version these elements are present largely through the visual language if they are explored at all. 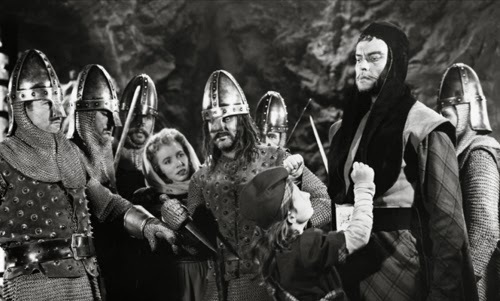 The visceral terror of the scene in which Macduff's wife and children are slain tells us all we need to know about Macbeth, which is fortunate as Welles' performance offers no insights into his psychology. Dan O’Herlihy makes a worthy Macduff, and Roddy McDowall a suitably feckless Malcolm, but Edgar Barrier is painfully inert as Banquo. 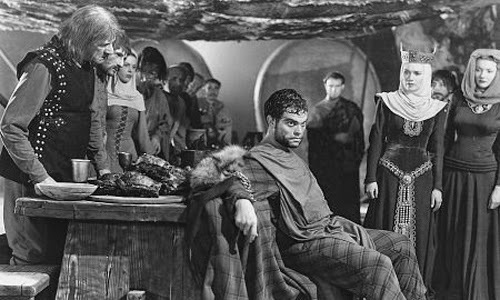 The decision to render asides, be they from Macbeth or his lady, as internal monologues largely works, and few of Welles’ adjustments and excisions are glaringly out of place or woefully misjudged. Rather, it is the task he sets himself that ensures the film comes up short; the brief 23-day shooting schedule and a hit-and-miss cast who are unable to sound convincingly Scottish. Welles was only 33 when the film came out, and it became just the latest in a series of botched releases. The negative reaction to his tampering with the text and the “Scots” tones induced the director to reedit the film (shorn of much of the brogue). It was this version that remained in circulation until the restored original was released in 1980. 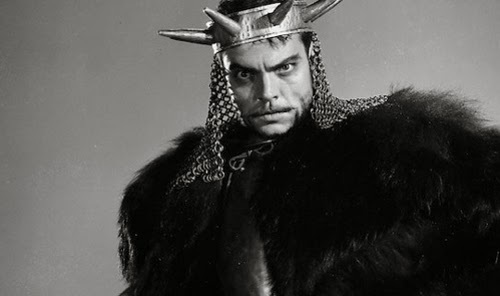 Laurence Olivier had been planning his own film of Macbeth, but faced with a first-out-of-the-gate competitor he turned his attention to Hamlet. 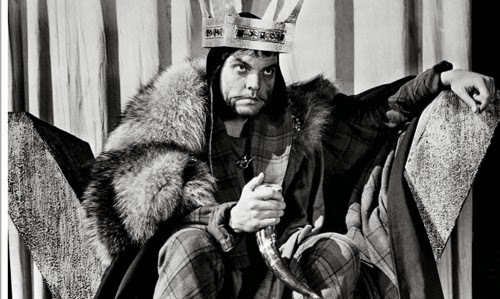 Welles takes a very different approach to Olivier, whose more literal rendition Henry V had been a big success and improved the prospects for any would-be adaptor of the Bard. 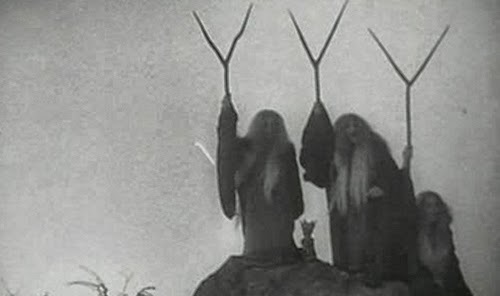 So too, Hamlet would be rewarded with a Best Picture gong while Macbeth slouched into semi-obscurity. 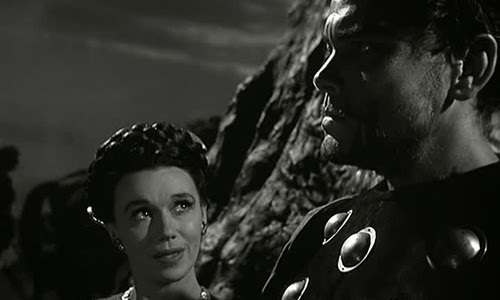 As a further Olivier connection, Welles had considered going after Vivien Leigh for Lady Macbeth; there are differing accounts of whether Olivier turned him down or Welles assumed hubby would nix the idea so he didn't even ask. The genius of Welles at his best has no doubt encouraged reappraisals of some of his less distinguished works, festooning the status of neglected classic on productions that cannot bear such weight. 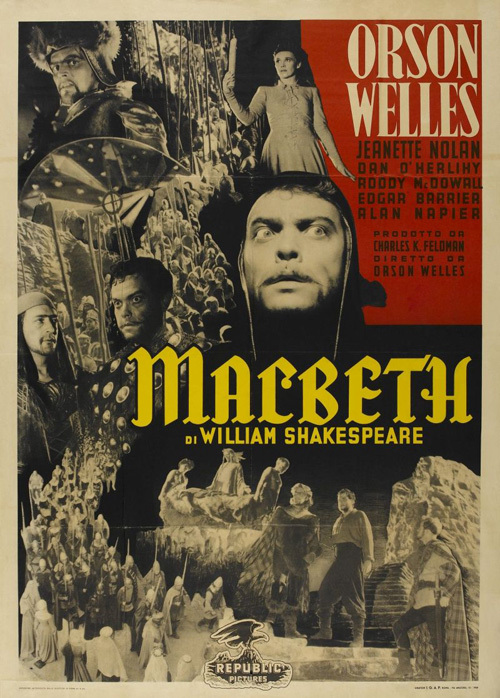 Macbeth was certainly greeted appreciatively when its original version once again saw the light of day, but it’s more of a beautifully shot oddity than one that has any claim as a great rendition of the Scottish Play.